The challenges posed to electricity grids by adding increasing amounts of intermittent renewable generation are well known, and costly to manage, however a Scottish technology company claims to have the answer. Faraday Grid, believes it can massively increase grid capacity to carry renewables at no additional cost, while solving network volatility. The company has developed a voltage stabilisation device it calls the “Faraday Exchanger” to replace traditional network transformers. 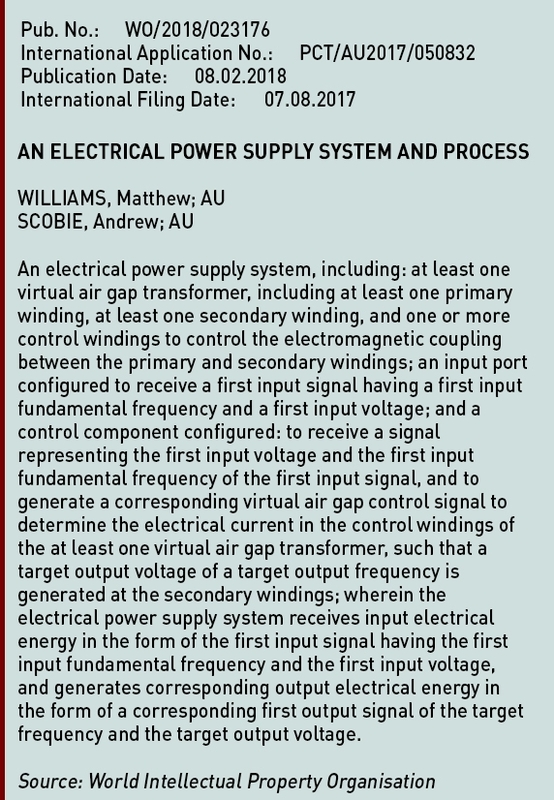 Existing transformers were designed with centralised electricity systems in mind, where electricity is transported from large power stations on the high voltage network, and transformers are used to step the voltage down to distribution networks. However, increasingly electricity is generated at the distribution level and even exported back to the high voltage network. The company describes its Exchanger as a managed, high speed, power flow control device, equivalent of the router to the internet, and claims that it can dynamically maintain target voltage, frequency and power factor efficiently over a range of operation. The devices require no external communications, are fully autonomous, and can be dropped into grids incrementally, under existing regulations, without disrupting the system. Faraday Grid is also building a trading platform called Emergent, to enable dynamic trading to help balance the grid using price signals. According to the company, its technology could allow grids to handle up to 60% renewable generation without becoming unstable and reduce grid losses by up to 15% by automatically correcting fluctuations in frequency and voltage caused by intermittent generation. 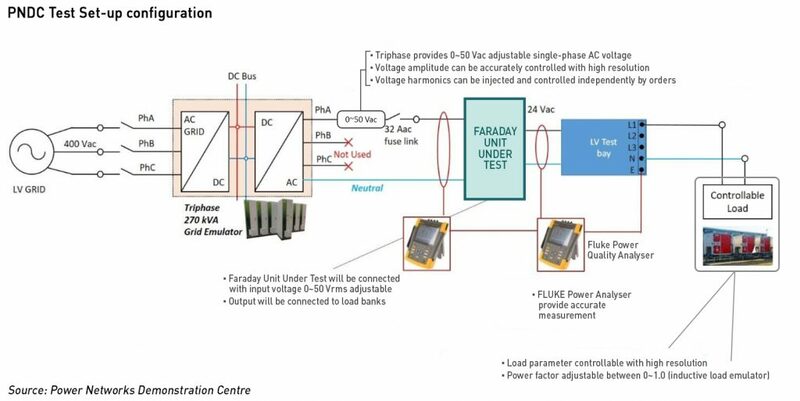 According to a company investor briefing document seen by Greentech Media, a single Faraday Exchanger would be able to control voltage by plus or minus 25% and power factors by plus or minus 0.7%, maintaining grid stability to well above current levels. The details of the technology are described in the company’s patent. Faraday Exchangers will cost US$ 6,500 per unit in the U.S. and around US$10,000 per unit in Europe due to differences in their grids. The company anticipates that its devices could be installed as part of the standard replacement cycles for network transformers, which typically have a 30-year lifespan. However, many operators have delayed investments so there is a replacement backlog the could represent a US$2 billion opportunity, according to Faraday Grid’s CEO. However, the report also notes that “the UUT was under the operational control of Faraday Grid Limited due to the intellectual property protection requirements,” so it is unclear to what extent the autonomous capabilities of the device were explored. The PNDC describes itself as “a venture founded by government, industrial and academic partners with the aim of accelerating the adoption of innovative research and technologies from early-stage research into business-as-usual adoption by the electricity industry.” The press release also noted that Faraday Grid has become a member of the PNDC and will be working with the group to further refine the technology as it moves towards commercial deployment. The technology sounds almost too good to be true, and is to be put to the test in a trial by UK Power Networks which will deploy the Exchangers for live testing in London in spring 2019. The trial of the technology is expected to run for 12 months, and will examine the impact of the Faraday Exchangers on the network, including how much they boost capacity and to what extent they could reduce the need for other infrastructure upgrades. I wonder how much more money will be wasted in trying to make renewable energy work before some one actually realises that nuclear power is just better?